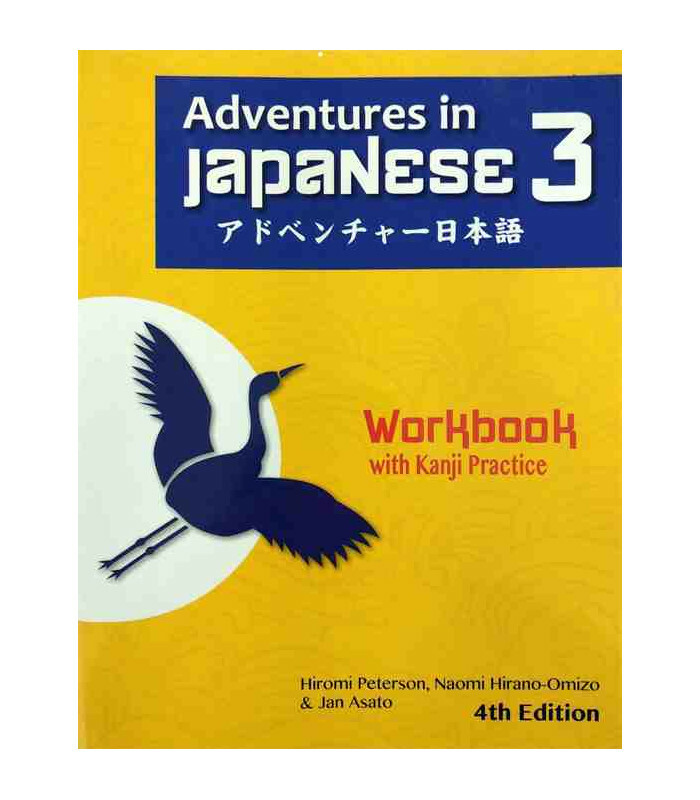 Adventures in Japanese Volumen 3 Workbook es el libro de ejercicios que acompaña al libro de texto del nivel 3 de la cuarta edición de este método. 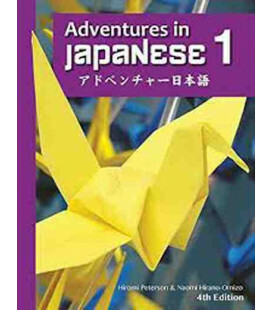 Adventures in Japanese sin olvidarse de prestar atención a las cuatro habilidades lingüísticas –hablar, escuchar, leer y escribir- tiene el objetivo particular de fortalecer la conversación. El método está diseñado para estudiantes jóvenes. 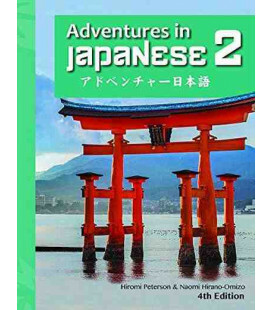 El nuevo diseño a todo color de Adventures in Japanese es más fácil de leer y consultar. Se han añadido más fotos relacionadas con la cultura japonesa. El vocabulario actualizado refleja cambios en la tecnología y en la sociedad japonesa. Nuevos ejercicios de gramática se han añadido después de cada explicación gramatical. Materiales auténticos proporcionan a los estudiantes prácticas de lectura en el mundo real. Se han incluido capítulos de hiragana, katakana, kanji y pronunciación. En esta edición son 12 lecciones en lugar de 16, el ritmo y el flujo del curso se han simplificado, haciendo que Adventures in Japanese sea más fácil de completar en un año. Se han agregado listas de autoevaluación a cada lección para que los objetivos y las expectativas estén claramente definidos. Nuevas grabaciones de audio, flashcards, ejercicios complementarios, etc. están disponibles para descargar desde el sitio web de la editorial. Los profesores también encontrarán material complementario en la web de la editorial. 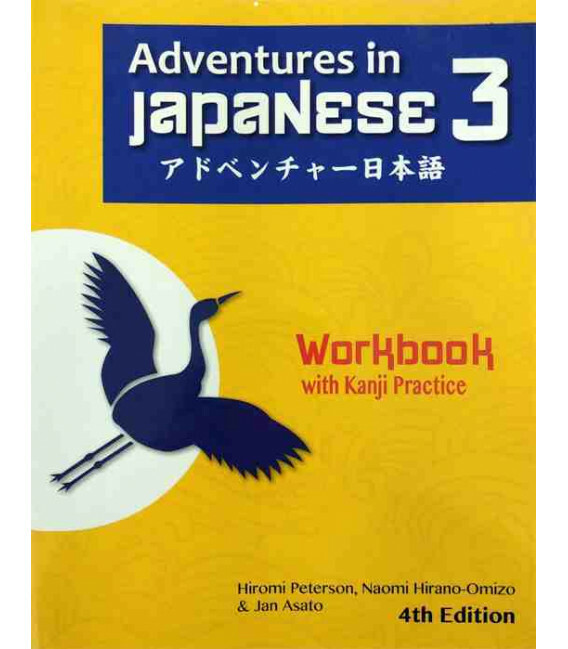 -Kanji writing section: Volume 3 focuses on kanji writing and recognition to build students’ kanji memory. -Composition activity: More composition activities are provided to develop students’ written expression and enhance their ability to think and compose in Japanese. -End of Lesson Review Worksheets: Corresponding to the textbook, the new review worksheets include tasks related to previously taught grammar, cultural notes and reading to solidify the language learning process. 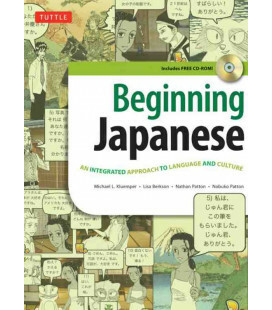 -Listening exercises: Listening comprehension exercises (downloadable from the companion website) expose students to naturally spoken Japanese and facilitate language communication. 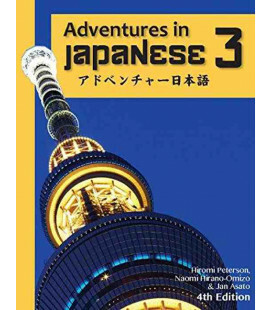 With contemporary photos, vocabulary, and real life scenarios, the full-color Fourth Edition of Adventures in Japanese gives students a strong foundation in the Japanese language through the development of the four language skills: speaking, listening, reading, and writing. Students are encouraged to become more globally aware and culturally sensitive while strengthening conversational skills. The flexibility of this series allows for endless activities and projects to be built around the lessons, and aids teachers by integrating the “5Cs” of the ACTFL World-Readiness Standards for Learning Languages—Communication, Cultures, Connections, Comparisons, and Communities – into the series’ core structure. 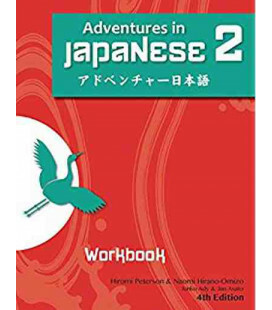 New Full-color Textbook Design with Up-to-date Photos and Content The new full-color design of Adventures in Japanese’s 4th Edition is easier to read and easier to navigate. More photos bring Japanese culture to life. Updated vocabulary reflects changes in technology and in Japanese society. More Practice New grammar exercises have been added after each grammar explanation in the textbook. New authentic materials provide students with real-world reading practice. 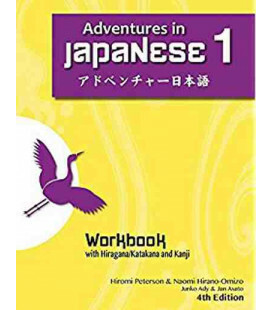 Improved Pacing Now with 12 lessons instead of 16, pacing and instructional flow have been streamlined, making Adventures in Japanese easier to complete in one year. New Introductory Lesson Teachers are now able to introduce hiragana, katakana, kanji, and pronunciation at whatever time best suits their class. Clear Expectations Can-Do statements and self-assessment checklists have been added to each lesson so objectives and expectations are clearly defined. 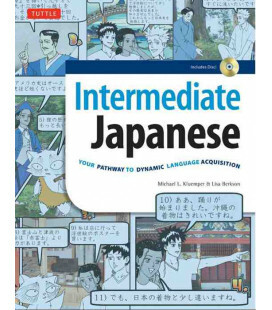 Review Lessons are available for download on the companion website at cheng-tsui.com/adventuresinjapanese. More Kanji More than 60 kanji are introduced in Volume 1 to provide students with a stronger foundation for continued study and AP® exam preparation. New Student Audio New audio recordings for Dialogues, Vocabulary, Language in Context, Grammar models, review questions, audio activities, and Culture Notes will be available for download from the Companion Website at cheng-tsui.com/adventuresinjapanese. New Common Core Activities Additional activities aligned with the Common Core State Standards (CCSS) for English Language Arts are included throughout the textbook. Accompanying the Culture Notes, these activities encourage students to read critically and write narrative, informational, and persuasive responses. 21st Century Skills Activities Students extend their learning about cultural topics by using technology to do research, create presentations, and improve their language skills and cultural competence. Students will also practice critical reading and writing skills aligned with the CCSS. Connect activities Students use Japanese to practice skills in other career-based disciplines, including math, statistics, science, and social studies. Recycling Recycling of key grammar structures and vocabulary is now clearly indicated. Digital Teacher's Guide to Go Access all of the Adventures in Japanese teacher materials on a convenient USB flash drive. Easy to carry, easy to use, and easy to customize.